Cashback will be tracked at the lower amount but will be uplifted once Book Depository confirms that the order is made by a new customer. For all the bibliophiles across the world, the Book Depository offers several discount options at the bargain shop. One can find Book Depository promo codes and Book Depository coupon codes during the Book Depository sale and other offers. Promotions apply to listed titles only, which are subject to change and availability. If you choose to purchase a product from a multi-buy offer, but do not purchase enough products to qualify for the special discount, the product will be charged at the normal price. Please note that on 3 for 2 promotions (and other multi-buy offers), the lowest priced title will always be the 'free' item. 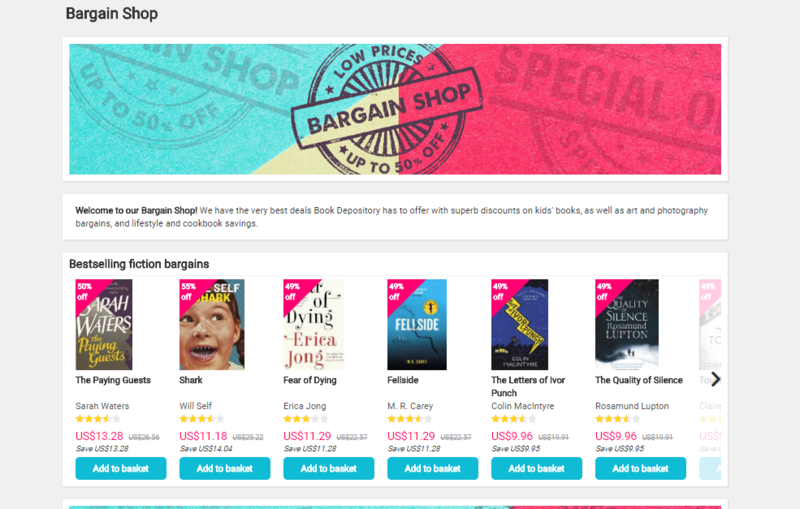 Customers shopping from Book Depository Malaysia can enjoy several additional discounts and benefits when they buy via ShopBack. Here, one can not only view any available Book Depository code, but also get additional cashback with every purchase through ShopBack. In addition, you can also follow the brand on Twitter, Instagram and/or Facebook for the latest offers and Book Depository discount coupon codes. Some similar services in Malaysia are Kinokuniya and Qoo10. Book Depository is one of the world's leading specialist online bookstores. They offer more than 18 million titles at low prices, all with free delivery worldwide to over 100 countries. Whatever your interest or passion, you'll find something interesting in this bookshop full of delights. Book Depository ships to thousands of customers across the world every day from their fulfilment centres in Gloucester, United Kingdom, and Melbourne, Australia. The Book Depository has more than a million customers and a reputation for extremely high service levels. Of the 30 million titles ever printed in the English language only a few million of these are in print. The Book Depository is seeking to make available as many of these titles as possible (and working to do the same with foreign language titles). This way, they will have the largest breadth of titles available in the world. Book Depository was acquired by Amazon in 2011, and since then they have worked together to ensure the best possible experience for all their customers worldwide. By working with Amazon, the Book Depository has improved their customer service and delivery, and increased their selection of books to over 18 million ensuring that you will you find a great read online at all sites whether it is Book Depository Singapore or Australia. In addition, you can also find recommendations and peer favourites thanks to the Book Depository review option. At the Book Depository, everyone from Customer Service right through to Marketing and Finance are very passionate about books. They love making recommendations for titles and sharing the books they have loved with all their customers, sharing their passion for reading with the world. The Book Depository has more than 18 million titles and free delivery worldwide to over 100 countries. On this site, you can browse some of our top categories such as Children's Books, Fiction, Graphic Novels, Anime & Manga, Food & Drink books, Crafts & Hobbies, Art & Photography, Biography, and Crime & Thriller. Here, we look at some of the product categories available on the Book Depository. The Book Depository makes shopping for the latest books easy for everyone with a well-organized homepage and product categories. To shop on Book Depository, simply follow the steps given below. Step 2: Click on the product you like best for important information and product details. If you would like to buy the product, choose your colour and size (if applicable) and click on ‘Add to Basket.’ You will be able to see a confirmation for the same as a pop-up on your screen. Step 3: If you want to add more products to your cart, you can continue shopping. To buy the products click on the basket icon at the top-right corner of your page and click on the ‘Checkout’ button. At this stage you will be requested to enter your account details, or create an account. 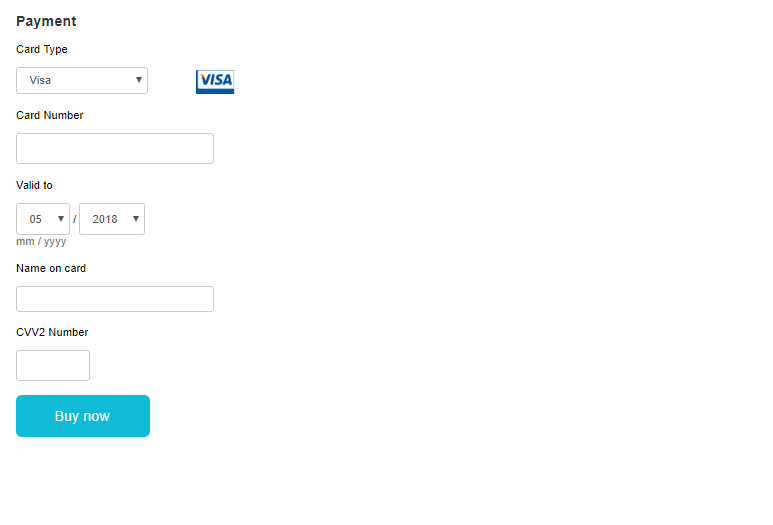 Step 4: Enter your delivery and billing details in the next form. From there, you will be redirected to the payment page. In case you have a Book Depository coupon code or Book Depository promo code, don’t forget to enter it in the box provided to claim your Book Depository discount. Enter your payment details and once confirmed, you will receive an order confirmation via email and your products will be delivered to you within the promised date. Note once you have placed your order, you may be given a link to track your shipment. However, a majority of orders will not be trackable once they have been dispatched to customers. The Book Depository tracking for high value books which will be dispatched through DHL, UPS or Interlink, will be available. You can now order your favourite books by using the following payment methods. Please note that some payment options may not be available for certain international locations. Step 1: Visit the ShopBack website and click on the Book Depository store at the bottom of the homepage. You can also use the search box to find the link to the store. Step 3: Look for the latest Book Depository coupon or Book Depository discount code in the Book Depository voucher code, discount codes and coupons section. Step 4: You will be redirected to the Book Depository website to browse and select the items. Step 5: When you place the order, you will be eligible to earn Book Depository cashback from ShopBack. The cashback rates differ based on product categories and based on whether you are a new or an existing customer. Book Depository offers free shipping to Malaysia without any conditions for a minimum spend allowing people to buy their favourite books without any concerns. The delivery to Malaysia usually takes about 5-8 business days from the time the order was placed. Note that the majority of deliveries are handled by domestic postal services, and Book Depository cannot offer a definitive time or date for when deliveries will be made. You can check your order at https://www.bookdepository.com/track. If you were logged in when you placed the order, you can also have a look at your order history. If your order is still processing, that means that the Book Depository is searching the world for your items. If your order shows as dispatched and hasn't arrived in the expected time, please check with your local delivery office before contacting the customer care team with the details. A pre-order is a title which hasn't yet been released by the Publisher. Book Depository states the publishing date on every webpage. Your order will be shipped just before or on the release date stated. Book Depository offers many pre-order titles on the site and tries to price these with a good up front discount. They currently charge for pre-orders in advance and often source difficult to find titles so this process is helped along the way by knowing there is a firm order. To change the address of a pre-ordered item, providing the Pre-order hasn't already shipped, just drop Book Depository a line here and request the change along with the new delivery address. Please note that the company is unable to amend delivery addresses from one EU country to another EU country for tax reasons. You can also cancel Pre-orders providing they haven't already shipped. Please drop customer care an email through their web form online. You can browse pre-order titles from the coming soon page on the website. You can cancel your order within 30 days of receiving it by completing the online cancellation form. Once you've cancelled the order, you must send the parcel back to Book Depository within 14 days. Once the team gets your returned items, you'll be refunded the price of the item within 14 days. Note that you will be responsible for the cost of returning the item to Book Depository, unless it was delivered to you in error or it is faulty. It is your responsibility to ensure safe return of the items to Book Depository. If you return a high-value item, it is recommended that you use a recorded delivery service. Book Depository will refund the same means of payment as you used to make your purchase. Should you receive any items that you did not order, or that prove to be faulty, please contact Book Depository via the online contact form giving details of your order. For additional assistance you can connect with the Book Depository team via the following methods. The best way to contact customer support is by filling in the online contact form at https://www.bookdepository.com/contactus. The form is designed to help you specify the problem or the query and then direct it to the member of staff best suited to deal with it. The team is always keen to hear from you and help with any queries or problems. Book Depository endeavours to answer all queries within 24 hours. Book Depository is also very happy to receive your feedback and suggestions. All emails are personally read and replied to by their Customer Service staff. Please send your emails to help@support.bookdepository.com.